When it comes to game day, wings and my famous Barbecue Sliders are always on my menu. The dips and desserts may change, but the wings and sliders are a given. 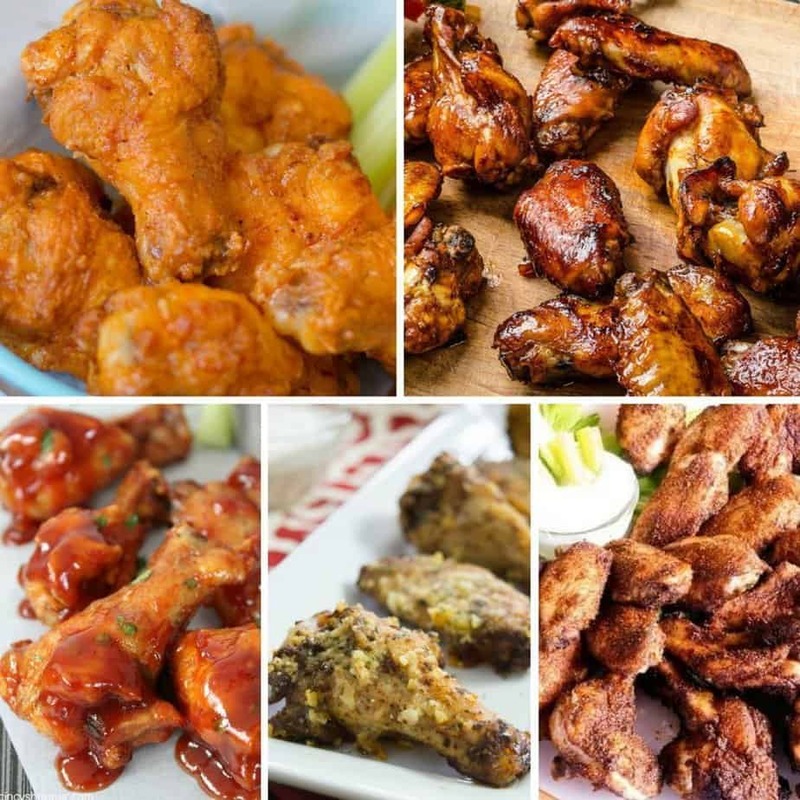 Over the years, I’ve added many game day snack options to my recipe collection including these 10 Delicious Game Day Wing Recipes. Whenever I’m serving wings, I usually fall back on my tried and true recipe. I coat the wings in a little oil, sprinkle them with salt, pepper, cumin, paprika, chili powder, and garlic powder and spread them out on a baking sheet. 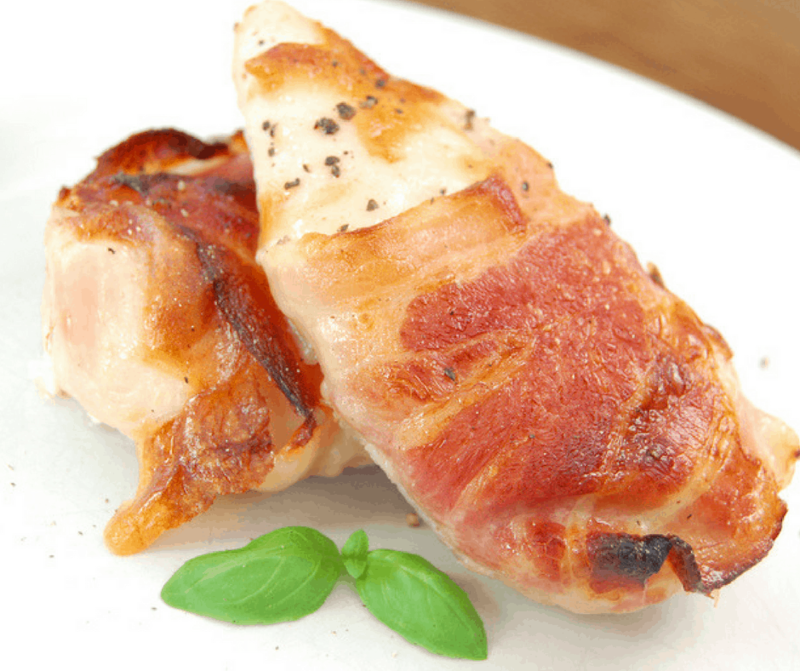 Bake at 400º for about an hour and you have delicious wings that are tender on the inside and crunchy on the outside, just the way my family likes them. 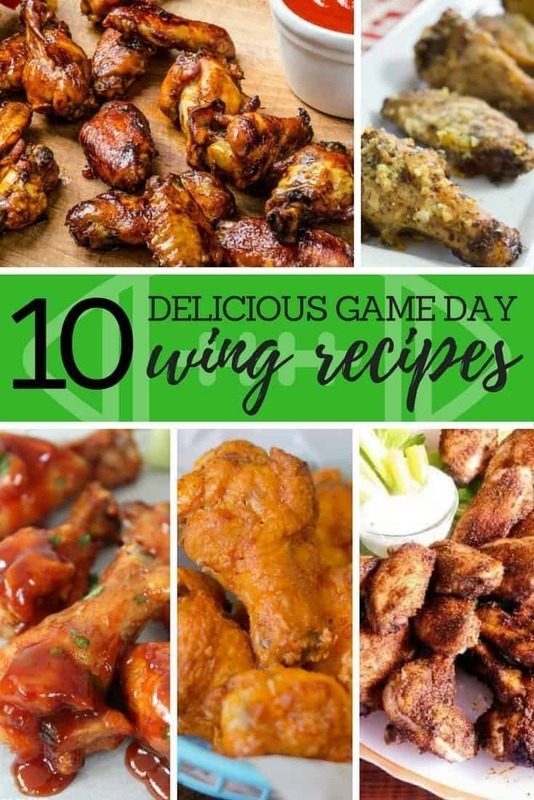 Sometimes, I like to mix things up a bit and these 10 Delicious Game Day Wing Recipes will make your taste buds sing. I can’t wait to try the Nashville Hot Chicken Wings. 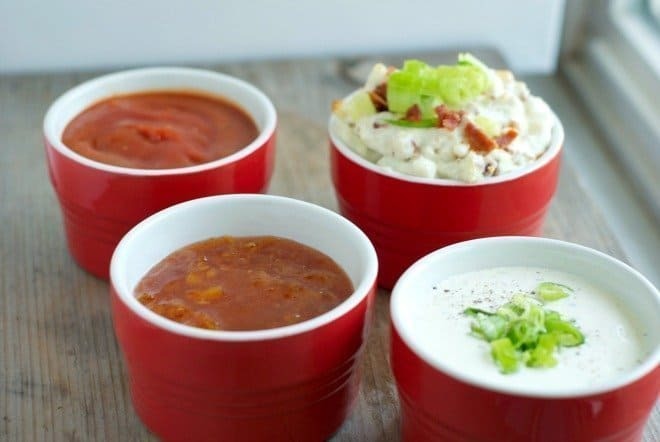 Don’t forget to make the Blue Cheese Bacon Dip! 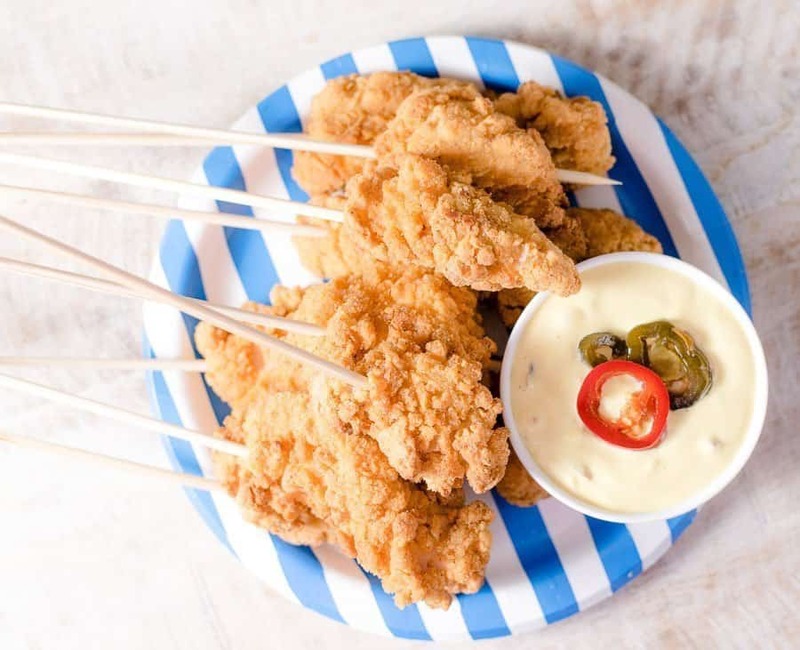 Game Day Wings must have a good dipping sauce and this one is easy to make and fun to eat. 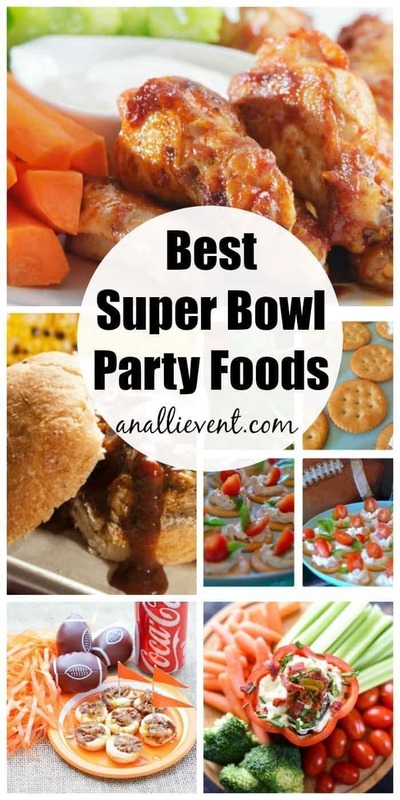 Are you hosting the big game this year? What’s your favorite game day snack? I LOVE wings but have never made them myself…HA! I need to make these for the Super Bowl potluck at work! YUM! 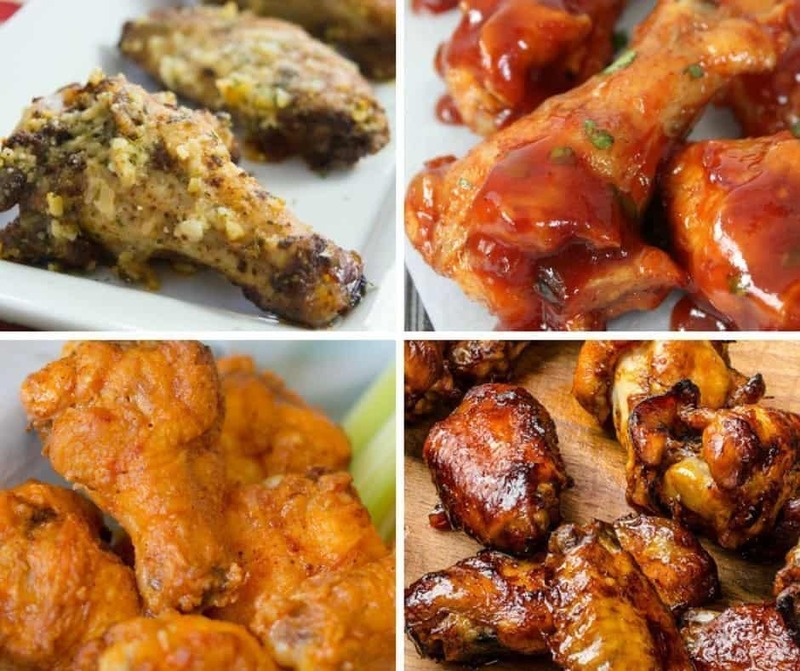 My hubby and oldest both really enjoy wings and would enjoy trying most of these. They are popular to serve when entertaining. valmg @ Mom Knows It All recently posted…Happy New Year From Mom Knows It All! Where if someone can’t find a game day wing they love to eat there is a problem. I would have to try one of each of course. I am drooling. All of these look fabulous! I don’t watch any games because they bore me, but I do love to eat! You are totally speaking my language. We are hosting the Super Bowl party here at our house and I am thinking of some ideas I think I might even do a couple different varieties of these chicken wings. My husband would LOVE these. He’s such a chicken wing fan. When it comes to game days, that’s always his go-to. I love how versatile wings are! The fact that you can bake them, fry them, saute them, sauce them, etc. Love all the wings! My husband would flip over blue cheese dip. I make a good wing recipe too but I think I will have to try some of these as well. Ashley recently posted…Minnie Mouse Gets Her Star On The Hollywood Walk Of Fame! They all look delicious! It will be hard to decide which on to try first! This is so awesome, you just saved me a whole lot of time! I don’t have to go searching for recipes, as these are all great! I plan to make a few wings of each, to have variety at my super bowl party! Those food look like the real game for me! Forget the party if those are the food. This is very helpful. It is not just one recipe, you included a lot. Thanks for this! Game days are all about football, friends and of course food. As food seems to disappear with magical speed on these days, newer recipes and dishes are always so welcome. I am going to try one of these recipes for tomorrow. Wing night is always a fun night here at home. Wings for game day is a must. It’s the perfect app that’s also filling. Love all of these. Wow these all look so good! I love game day recipes, they’re always so yummy and fun to make (and enjoy)! Can’t wait to try some of these out! These chicken wing recipes all look great! Game day or not, I am saving these recipes and making them for my family. How I wish I found this list so much earlier in the playoffs. Well, better late than never. I’m going to start choosing one for next week’s game. It’s a really perfect recipe for game day winning. This is very delicious and healthy food recipe. I will try must next game day for my family. Thank you for share such delicious food recipe.